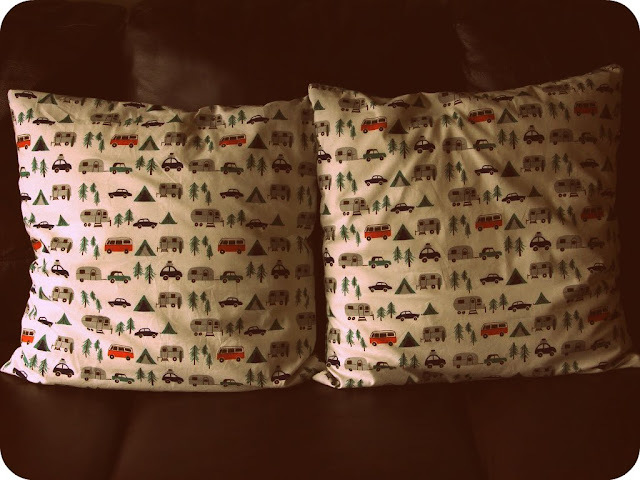 These are two cushions that I made for my Papa's birthday gift at the end of July. I first saw this fabric on Sew Retro and The Vintage Traveler and immediately thought that it was ideal for making something to give to my dad! My Mama and he own a VW camper and that car is like a second home to him. He also loves the old traditional VW models. I found out the fabric make ('Happy Campers' by Birch) through Lizzie, and after some googling, I also found the brilliant UK online fabric store Seamstar, who had the exact fabric in stock and pretty much delivered the next day. They stock soooo many other pretty designs, too - and loads of notions and haberdashery. I measured the fabric to fit 50 x 50 cm IKEA cushion pads. 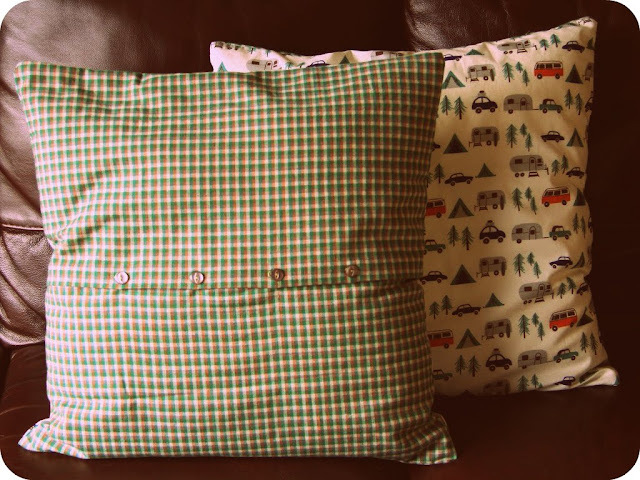 I somehow failed to order enough fabric to make a front and back for two cushions, so I had to go through my fabric stash to find a suitably patterned alternative to make up for my bad maths. 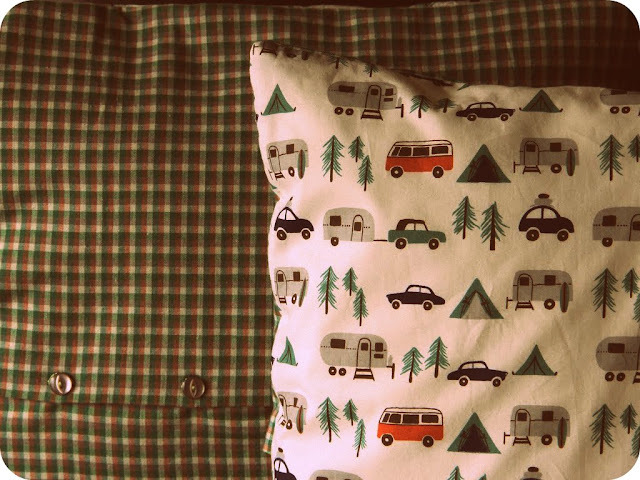 The vintage checkered fabric I pulled out was the perfect match, the green and white and orange-brown checks complimented the camping design most adequately. I was very lucky! I made a 4-button closure on the back and sewed the buttonholes by hand. It looks alright, as long as my Papa decides to keep the buttons tightly fastened! I was not there when he unwrapped his present, but I could hear in his phone voice that he was quite pleased with the cushions. And that pleased me! P.S. : Have you entered my giveaway? If not, click the button. You know you want to! 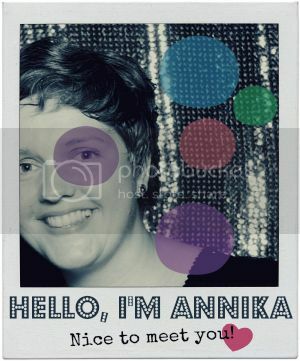 This is lovely Annika! It looks great! Sorry I haven't been by in a while, it's just been so hectic. I think I might take a blogging vacation...seriously thinking about it. These are brilliant! I love the fabric pattern, and the checkered material goes so well for the back. Really lovely! so cute. i love that fabric pattern. 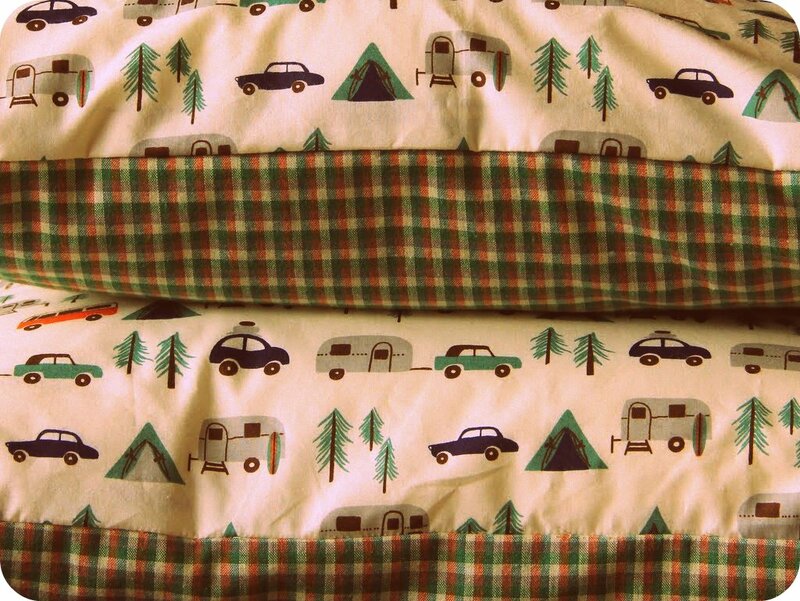 I love these, the plaid with buttons really ups the coolness! That's one lucky Papa! I Am Guest Posting At Atlantic Atlantis Today! Commercial Break Thursday: Flaunt Your Thang! I Am Totally Endorsing Listmaking! Once You Swap, You Can't Stop!